Striped shirts. Anchors. Rope bracelets. Deck shoes. Nautical style, check! 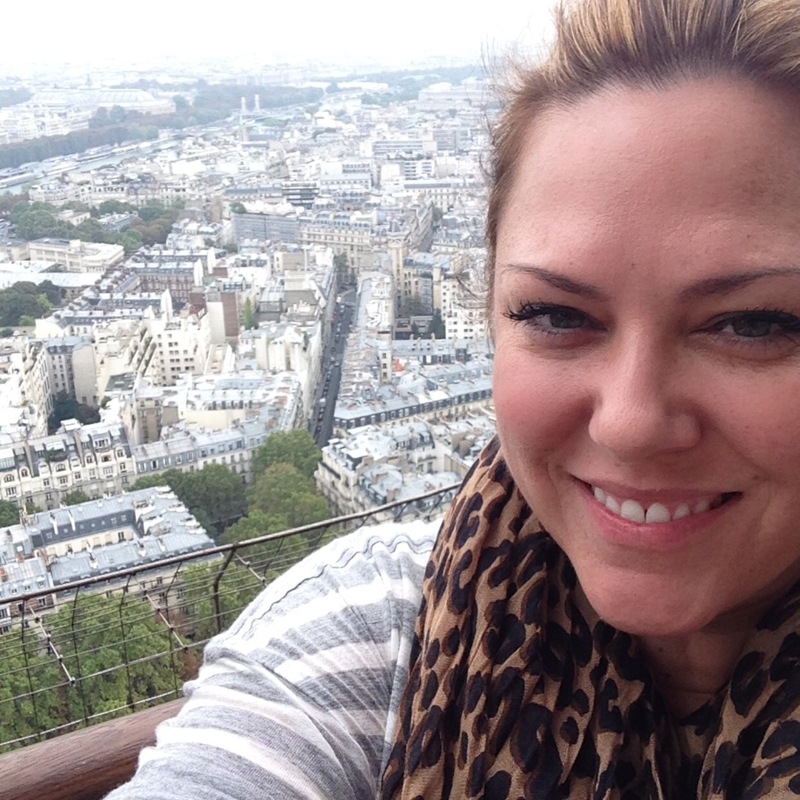 I am sure it's on your radar because it's everywhere. This time of year makes me want to decorate everything in red, white and blue. 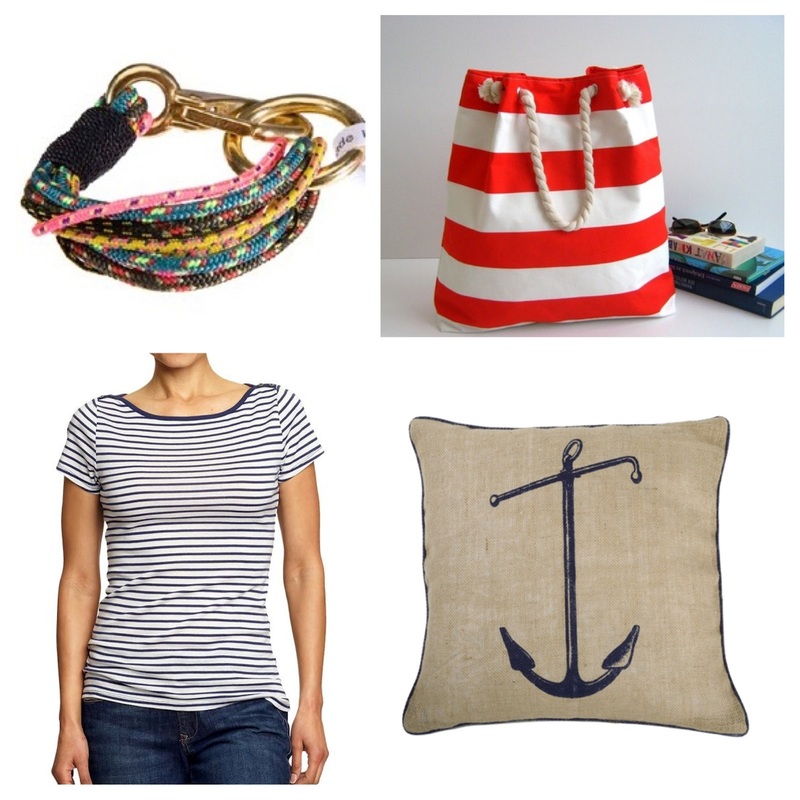 These are some of my current nautically-inspired favs: rope bracelet (I have this one and it is year-round cute), striped rope handle tote bag, striped boat-neck t-shirt (only $10 right now and really cute on!!!) and an anchor pillow. One of my favorite restaurants in Austin, Perla's, has a chic vibe nautical theme. 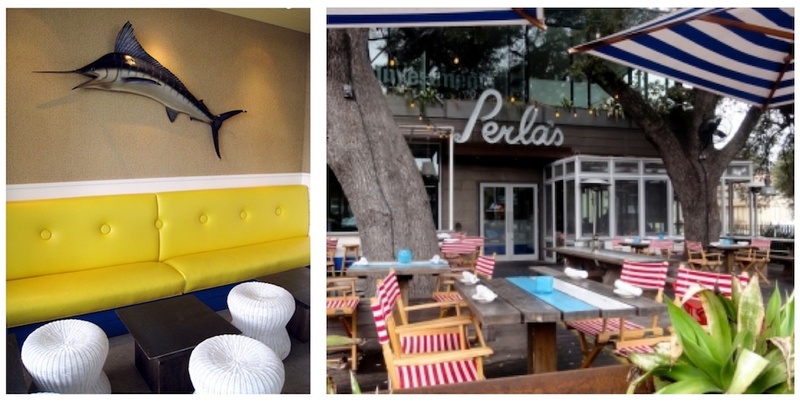 They use beautiful red or blue and white stripes, mixed with yellow, and other sea-themed decor. Love that deck...along with oysters and champagne on a sunny day! I have even combined my love of anchors with neon, on my vintage fishing lure Anchors Away line of necklaces on Etsy.